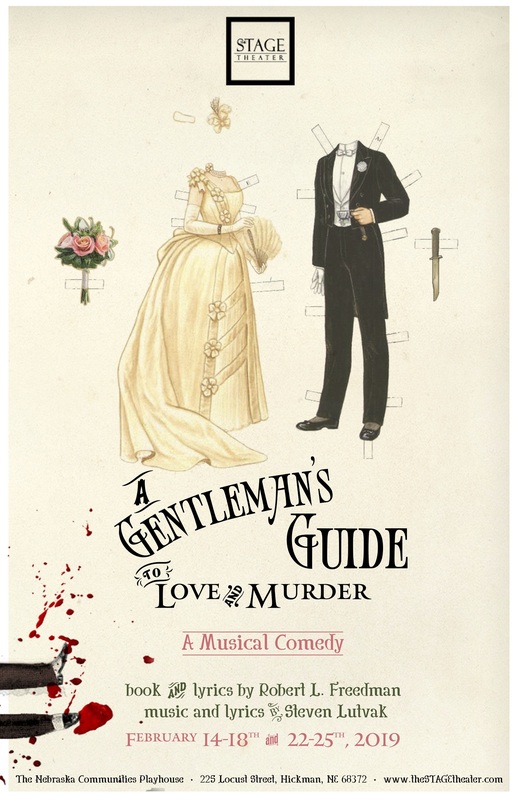 Two young Oxford University ungraduates - Jack Chesney and Charles “Charley” Wykeham are in love with Kitty Verdun and Miss Amy Spettigue. With intention to profess their love, they invite the ladies of their affections to meet Charley's wealthy aunt from Brazil, Donna Lucia d’Alvadorez. Unfortunately, Donna Lucia cancels her visit at the last minute, and the millionaire aunt sends the boys into cataclysmic confusion. What do they do now? Could the problem be solved by drafting Fancourt Babberley - their feckless pal from university into a black satin skirt, bloomers and wig and pose as the millionaire aunt? 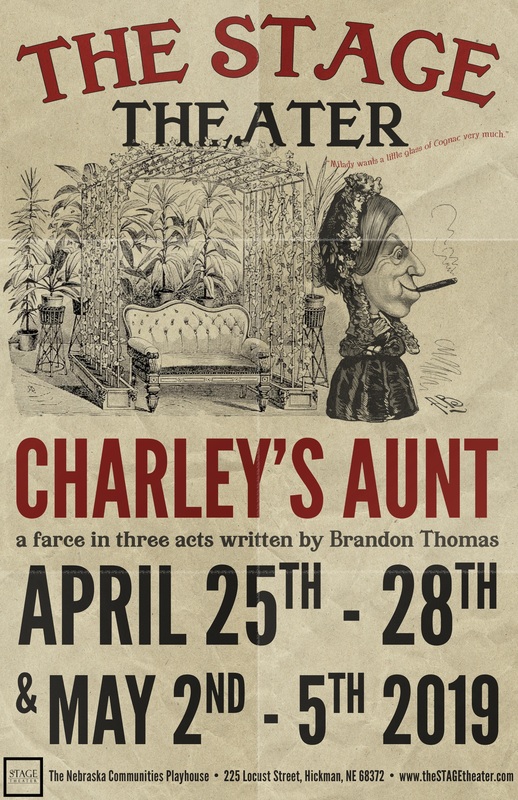 Perhaps… though when Babberley as "Charley's Aunt," the charming frump is introduced to the ladies and Donna Lucia shows up last minute - classic comedic confusion ensues! 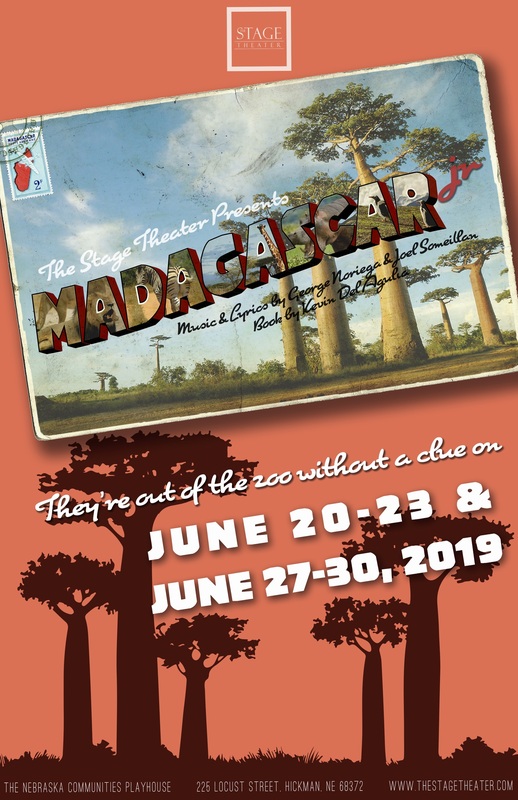 MADAGASCAR - A Musical Adventure, Jr.
It’s out of the zoo and onto The STAGE with your favorite crack-a-lackin’ friends in the summer of 2019! Alex the Lion, king of the urban jungle, is the main attraction at New York's Central Park Zoo. He and his best friends – Marty the Zebra, Melman the Giraffe and Gloria the Hippo – have spent their whole lives in blissful captivity before an admiring public and with regular meals provided for them. Not content to leave well enough alone, Marty lets his curiosity get the better of him and makes his escape – with the help of some prodigious, plotting penguins – to explore the world. He is joined by his pals on an unexpected journey to the madcap world of King Julien’s Madagascar. 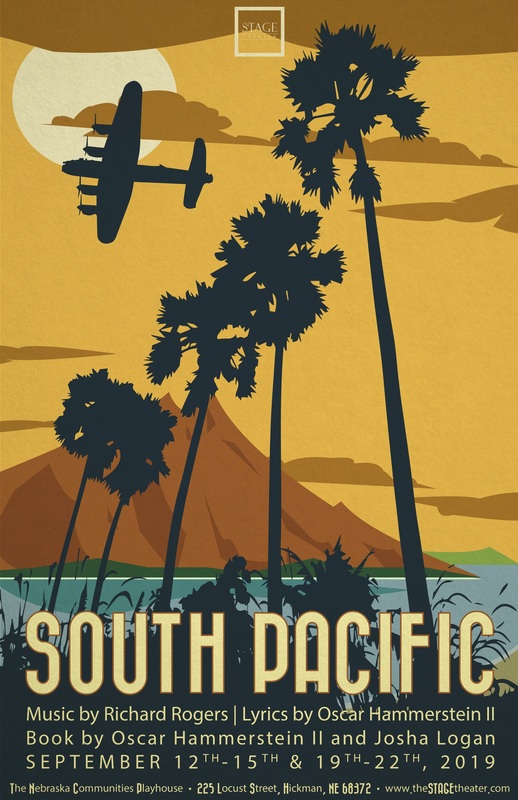 Set in an island paradise during World War II, two parallel love stories are threatened by the dangers of prejudice and war. Nellie, a spunky nurse from Arkansas, falls in love with a mature French planter, Emile. Nellie learns that the mother of his children was an island native and, unable to turn her back on the prejudices with which she was raised, refuses Emile's proposal of marriage. Meanwhile, the strapping Lt. Joe Cable denies himself the fulfillment of a future with an innocent Tonkinese girl with whom he's fallen in love out of the same fears that haunt Nellie. When Emile is recruited to accompany Joe on a dangerous mission that claims Joe's life, Nellie realizes that life is too short not to seize her own chance for happiness, thus confronting and conquering her prejudices. With music & lyrics by the incomparable Richard Rodgers & Oscar Hammerstein II, featuring songs such as “I’m Gonna Wash That Man Right Outta My Hair,” “There Is Nothing Like A Dame” and “This Nearly Was Mine,” we guarantee you an “enchanted evening” in the fall of 2019. 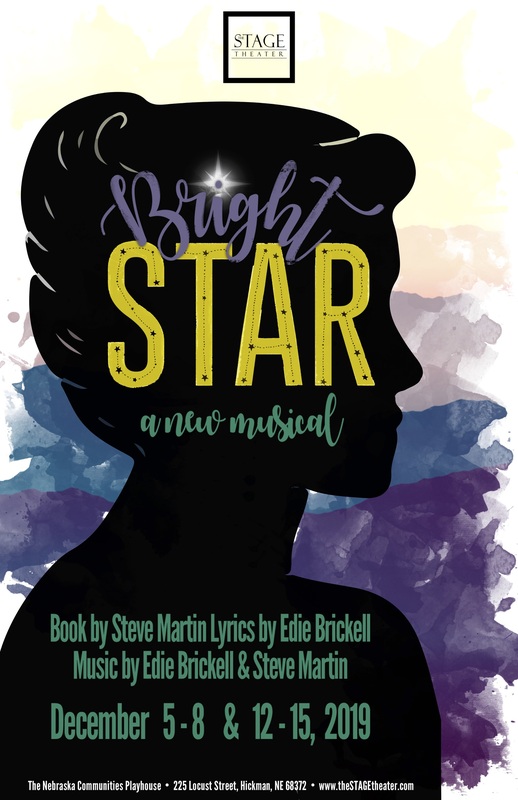 Inspired by true events and featuring the Grammy-nominated score, BRIGHT STAR tells a sweeping tale of love and redemption set against the rich backdrop of the American South in the 1920s and ‘40s Blue Ridge Mountains. BRIGHT STAR - an uplifting theatrical journey that holds you tight in its grasp, filled with passion, restoration and healing is as refreshingly genuine as it is daringly hopeful. Join us for BRIGHT STAR, shining on The STAGE for the 2019 Holiday Season. The STAGE Theater is a 501(c)3 non-profit organization. Thank you for stopping by!